In Hollywood, CA. 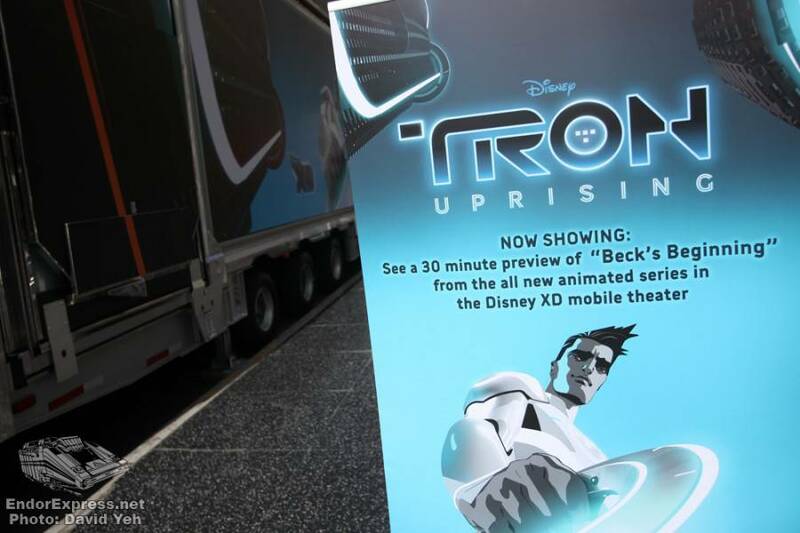 this past Saturday, the “TRON:UPRISING” Theater on Wheels began its short Southern California tour, bringing the latest Disney XD animated series to you. If you haven’t already caught the pilot episode “Beck’s Beginning” on YouTube, this tour is the best way to do it. 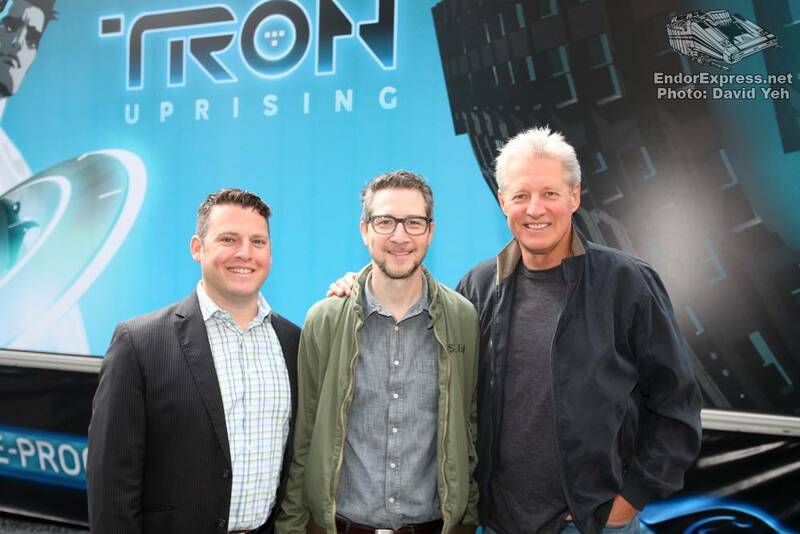 Fans of TRON, get ready to geek out because this series promises to deliver the goods. As a special surprise, actor Bruce Boxleitner (Tron) and director Charlie Bean were in Hollywood to kick-off the first screening in Hollywood. 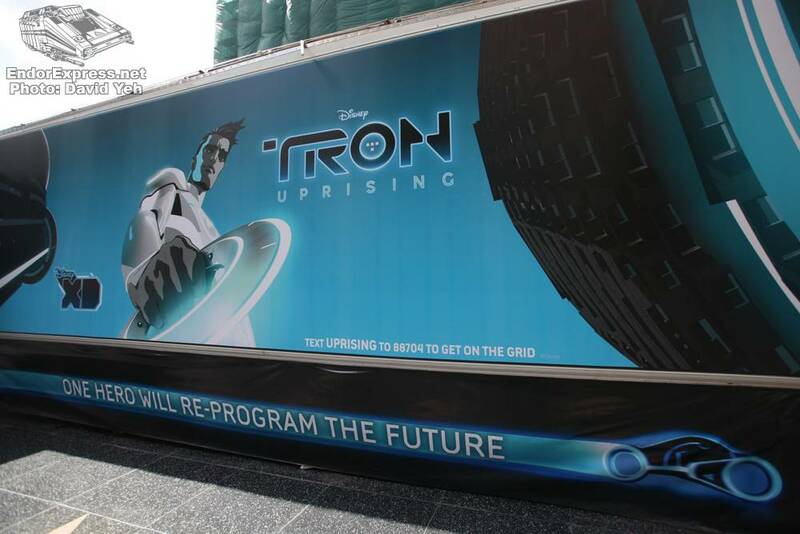 Do continue reading for more information on the Theater on Wheels, Tron: Uprising, and also where and when to catch this tour next! Limited time only! 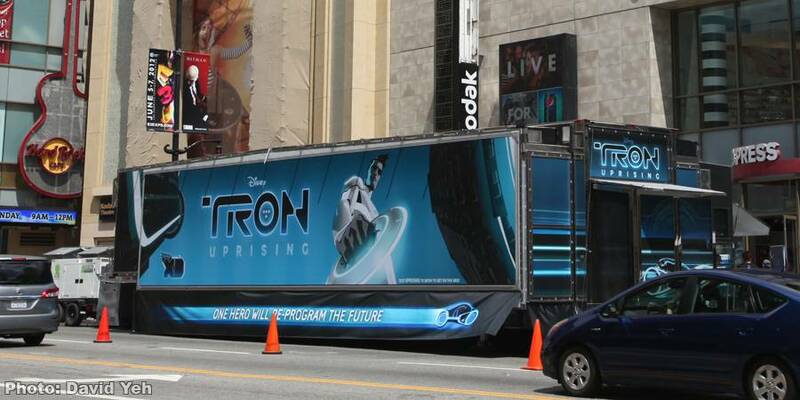 In public spaces ​throughout the “real” grid of Southern California, viewers will have the opportunity to see a prelude episode of the new animated series “TRON: Uprising” in a state of the art, high definition theatre on wheels. The 91 seat theatre provides an immersive viewing experience with digital surround sound and stadium seating. 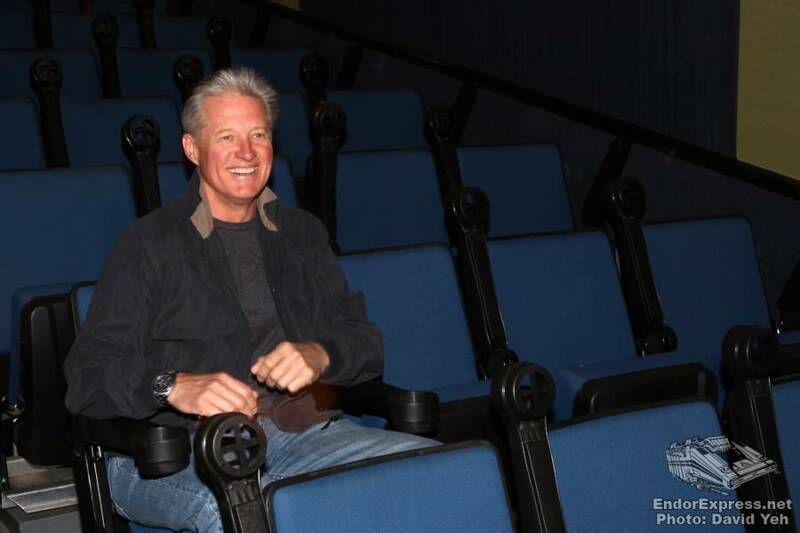 The continuous screenings at each location are made available at no charge. 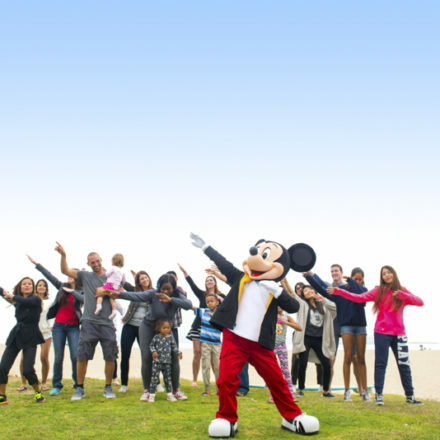 The series premieres Thursday, June 7 on Disney XD. 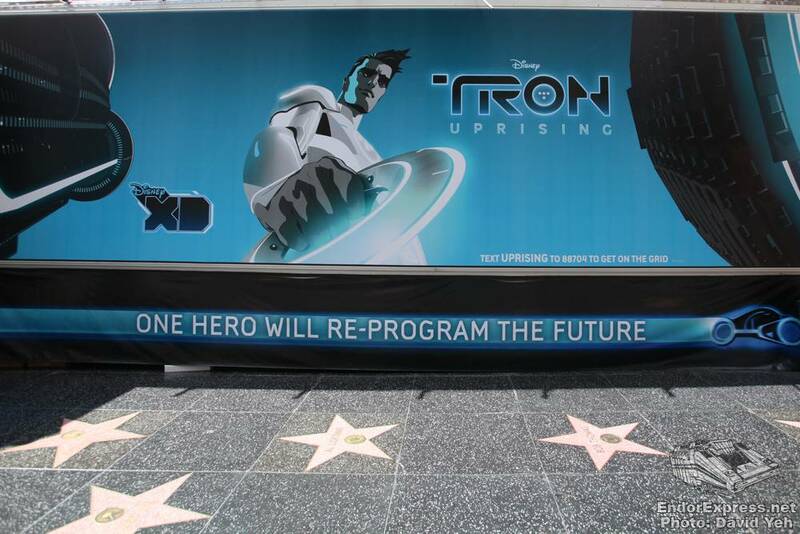 The “TRON: Uprising” theater on wheels tour will kick off at Hollywood and Highland in Hollywood on Saturday, May 26 and moves to the Huntington Beach Children’s Chalk Art Festival in Orange County on Monday, May 28. 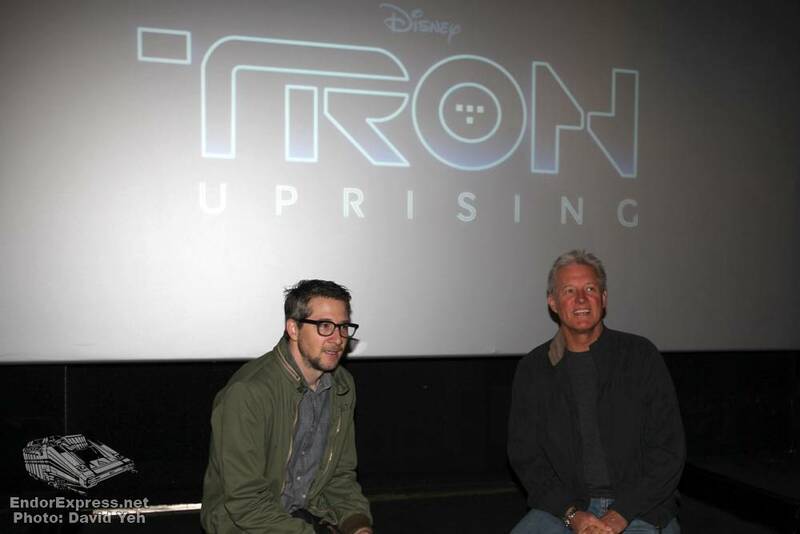 More information on the “TRON: Uprising” screenings is available on facebook.com/DisneyXD or facebook.com/Tron. “TRON: Uprising,” produced in CG animation with a 2D aesthetic, focuses on an era of the “TRON” storyline that transpires after the 1982 feature film and before the story in Walt Disney Studios’ “TRON: Legacy.” It follows the heroic journey of Beck, a young program who becomes the unlikely leader of a revolution inside the computer world of The Grid. His mission is to free his home and friends from the reign of the villainous Clu and his henchman, General Tesler. Trained by Tron, the greatest warrior The Grid has ever known, Beck is given the moniker of The Renegade and ignites an uprising. “TRON: Uprising” stars Elijah Wood as Beck, Bruce Boxleitner as Tron, Mandy Moore as Mara, Emmanuelle Chriqui as Paige, Nate Corddry as Zed, Lance Henriksen as General Tesler, Reginald VelJohnson as Able, Paul Reubens as Pavel and Tricia Helfer as the narrator and omnipresent voice of The Grid. Produced by Disney Television Animation, the series is executive-produced and directed by Charlie Bean (“Robotboy,” “Samurai Jack” and “Powerpuff Girls”). 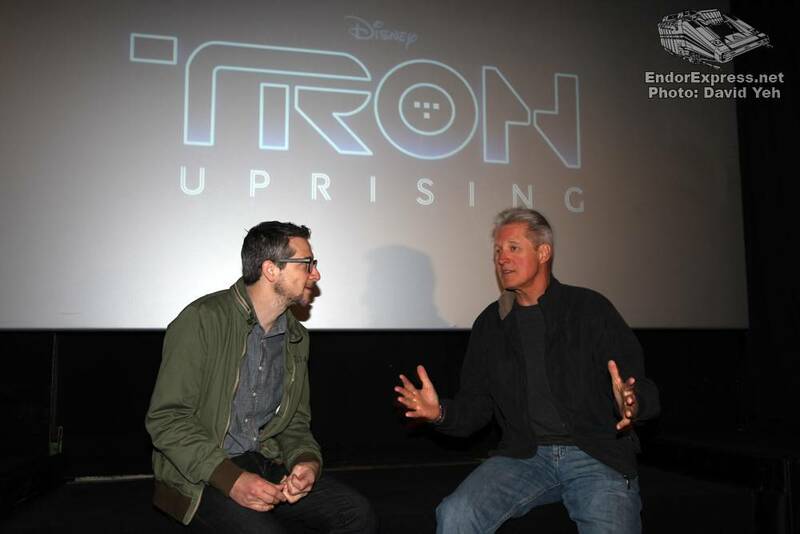 Edward Kitsis and Adam Horowitz (both screenwriters of “TRON: Legacy” / executive producers of ABC’s “Lost” and “Once Upon a Time”) developed the series for Disney XD and serve as consulting producers with Justin Springer (co-producer of “TRON: Legacy”). 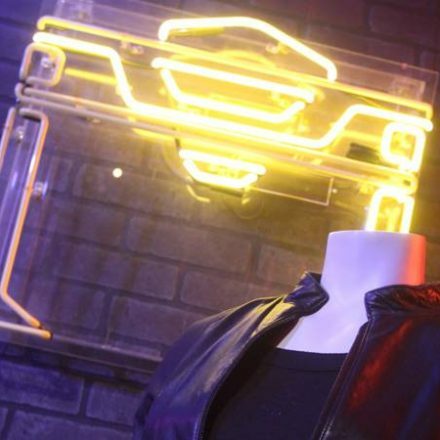 The music is composed by Joseph Trapanese (“TRON: Legacy”). 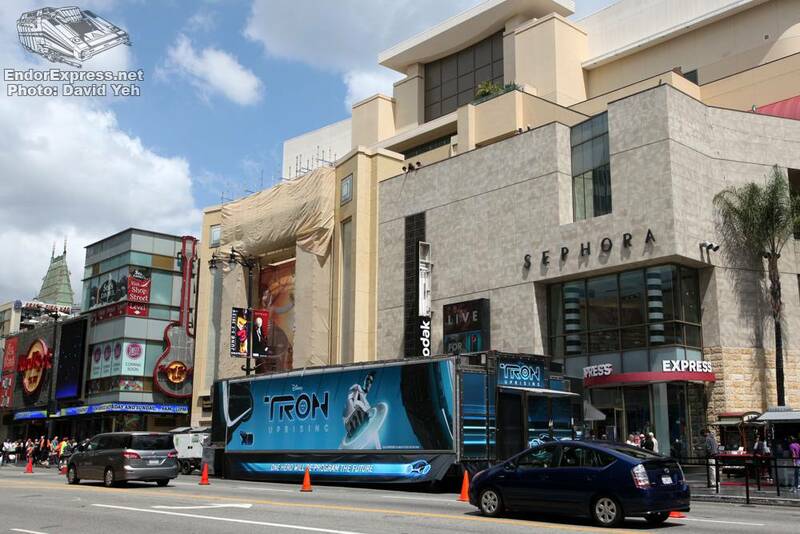 10:00 a.m. – 8:00 p.m. – Corner of Hollywood Boulevard and Highland Avenue in Hollywood, across the street from the El Capitan. 8:30 a.m. – 4:30 p.m. – Huntington Beach Children’s Chalk Art Festival. The truck will be parked in front of the Shorebreak Hotel on The Strand. Monday – Thursday: 12:00 p.m. – 9:00 p.m.